Vicon Motus 10 (formerly known as Peak Motus), is the leading video based motion analysis software for biomechanics, sports science and medicine. As the direct successor of Peak5, the system has greatly benefitted scientists all over the world for decades (see History of Motus). 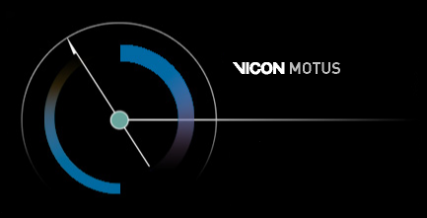 Vicon Motus 10 can be used for 2D and 3D motion analysis. TEMPLO can record 6 or more high-speed/high-resolution cameras, synchronized with force platforms, EMG or other analog data collection devices. The acquired data, including AVI files and meta-data, can then easily be transferred to Motus with just a few clicks of the mouse in almost no time. 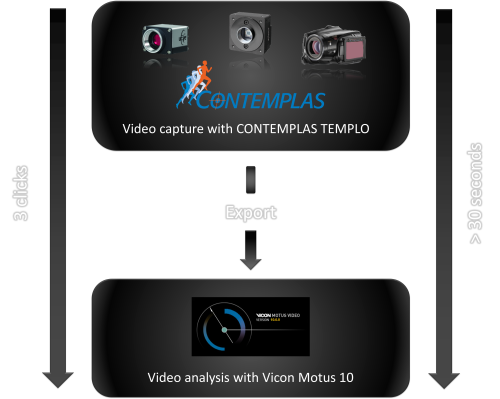 Capture video clips and analog data with CONTEMPLAS TEMPLO video analysis software, using the latest hardware technologies and export everything in a single step to Vicon Motus 10 with just a few clicks.